With fertile farmlands, lush forests, majestic mountains and over 800 miles of pristine coastline—not to mention cutting-edge cuisine, a rich arts scene (hello, Hollywood!) and a thriving tech industry—California is among the most desirable places in the country to live. If you’re searching for a new home in The Golden State, consider these hot California communities! New homes from the mid $400s • 4 to 6 bedrooms • Approx. 2,250 to 3,100 sq. ft. Located near Sacramento, Bella Strada offers a distinctive collection of two-story homes with a wealth of exciting personalization options. Residents will appreciate the community’s small-town feel and modern amenities. New homesites just released! New homes from the low $400s • 3 to 6 bedrooms • Approx. 2,050 to 3,000 sq. ft. 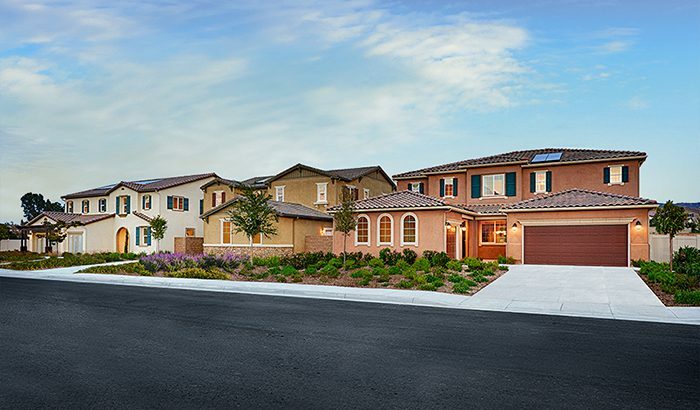 Within commuting distance of both Sacramento and Contra Costa County in the Bay area, Orchards at Valley Glen showcases several ranch and two-story new homes with impressive standard features. Residents will appreciate easy access to an impressive array of amenities, including UC Davis, shopping, dining and recreation. Brand-new neighborhood in popular masterplan! New homes from the upper $400s • 3 to 7 bedrooms • Approx. 2,300 to 3,400 sq. 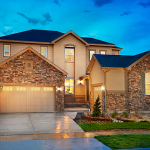 ft.
Creekside at Whitney Ranch boasts inspired single- and two-story floor plans with incredible included features. This exceptional new home community is located less than an hour from Lake Tahoe and residents will enjoy easy access to notable schools, including Sunset Ranch Elementary, Granite Oaks Middle and Whitney High schools, all of which received top ratings from greatschools.org as of 1.17. New homes from the mid $400s • 3 to 6 bedrooms • Approx. 1,600 to 2,600 sq. ft.
Conveniently located near parks, public transportation routes and The Shoppes at Chino Hills, McKenna Park features two-story French country- and Spanish-inspired homes with open areas for entertaining. Residents will enjoy a community rec center and pool and easy access to Freeway 60 and everything Chino and Eastvale have to offer. Brand-new community! New homes from the low $400s • 3 to 5 bedrooms • Approx. 2,450 to 3,000 sq. ft.
Set against a stunning mountain backdrop, just minutes from Lake Elsinore and I-15, Creekside at The Ranch offers distinctive new homes with designer details and abundant personalization options. Residents will appreciate easy access to notable schools, shopping and dining in nearby Temecula, and recreation, including Bear Creek Golf Club. Three stunning ranch plans! New homes from the mid $400s • 3 to 7 bedrooms • Approx. 3,050 to 3,800 sq. ft. Located right next to Creekside, Chaparral at The Ranch has a lot to offer homebuyers in the Lake Elsinore area. Residents will enjoy close proximity to popular attractions, like Bear Creek Golf Club, as well as quick access to I-15 and Temecula’s abundant shopping, dining and scenic wineries. Four beautiful two-story plans! Contact a New Home Specialist at 888.891.7349 or visit RichmondAmerican.com to learn about our other remarkable communities across California.